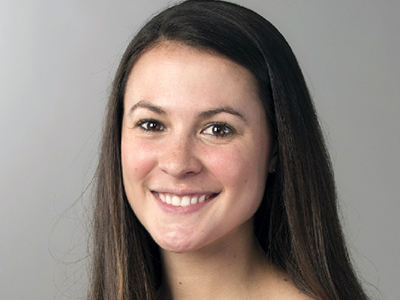 The Institute for Veterans and Military Families (IVMF) and the Office of Veteran and Military Affairs (OVMA) expanded their communications team, adding communications manager Leah Lazarz. Lazarz will work to promote visibility and advancement of military-connected students and veterans both at Syracuse University and at a national level. On a day-to-day basis, Lazarz will create and disseminate content across multiple platforms to build awareness, engagement and support for the IVMF’s and OVMA’s various programs. Lazarz comes to the IVMF and OVMA from the University’s central marketing and communications team, where she served as the digital and social media manager for Enrollment Management, a post she assumed in July 2015. In this position Lazarz played a critical role in developing and implementing social and digital media strategies at both the undergraduate and graduate levels to support and advance recruitment, yield, retention and financial aid goals. Lazarz holds a bachelor of arts degree in communications from Le Moyne College, where she was also a member of the women’s lacrosse team. She is a member of the steering committee for the Central New York chapter of 100 Women Who Care, a collective of 100+ CNY women committed to local causes and service. She will report to Stephanie Salanger, director of communications.